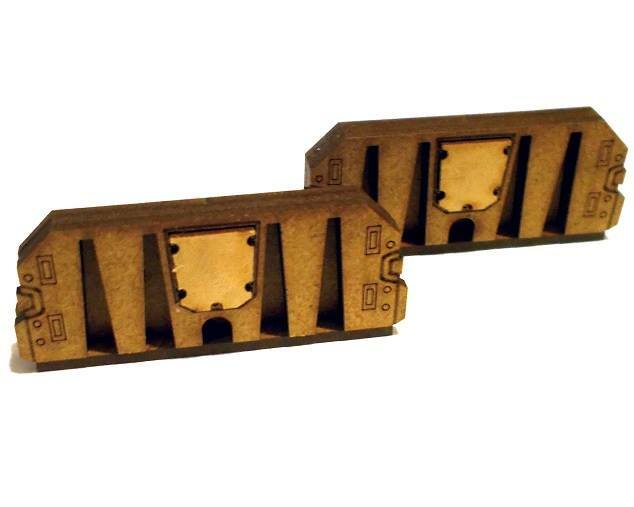 Blotz veröffentlicht u.a. 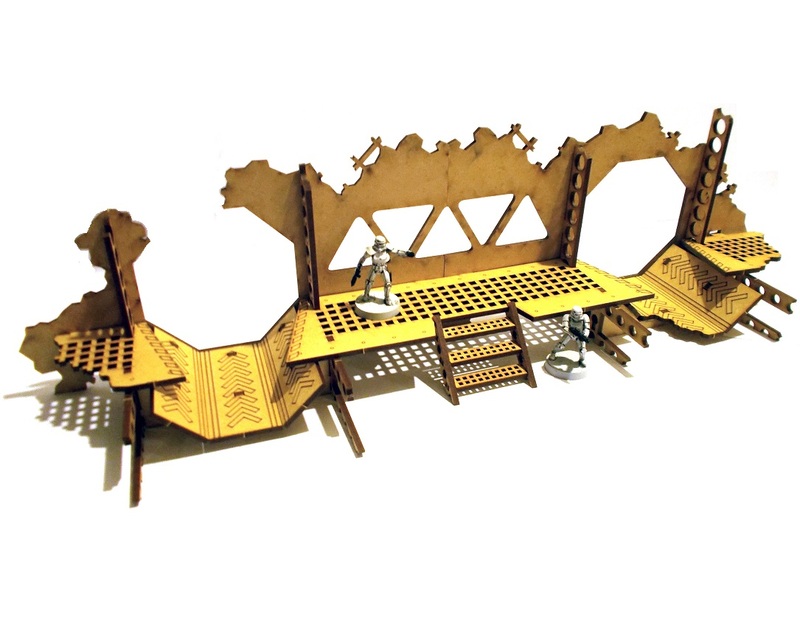 drei neue Sets aus der „Crashed Starship“-Reihe. 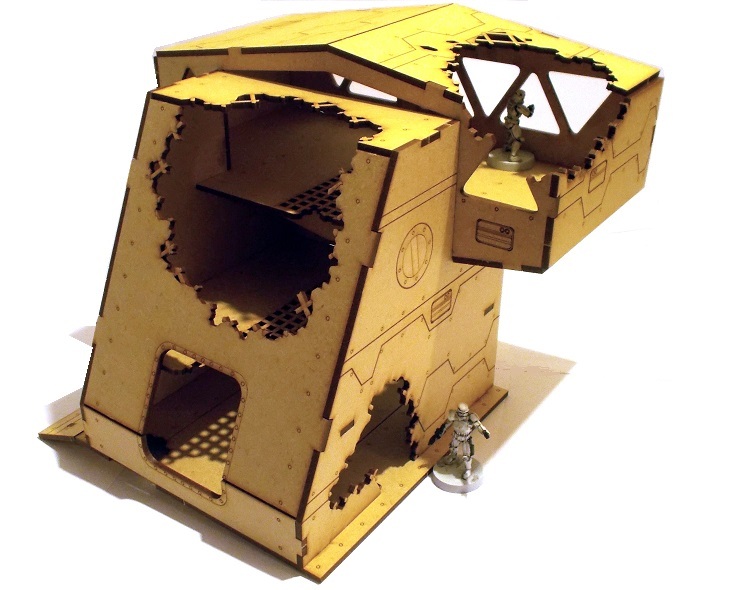 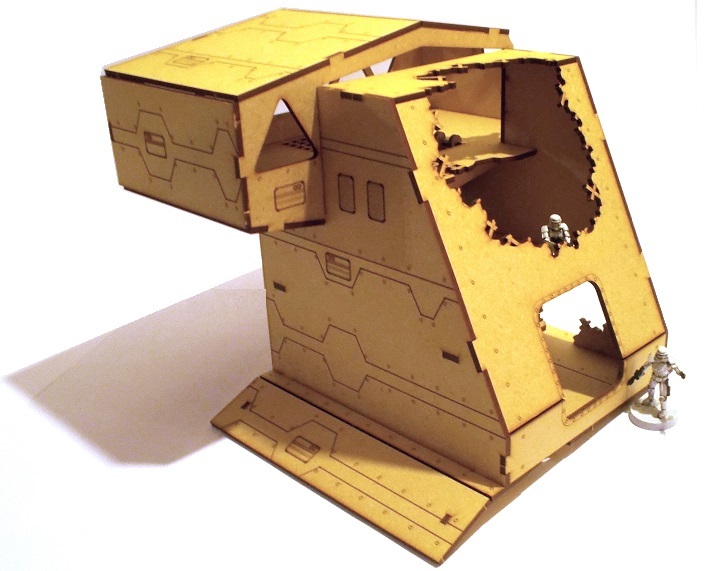 The superstructure from a crashed star ship – suitable for games with either 28mm or 35mm scale figures such as 40K, Infinity, Star Wars legion , etc. 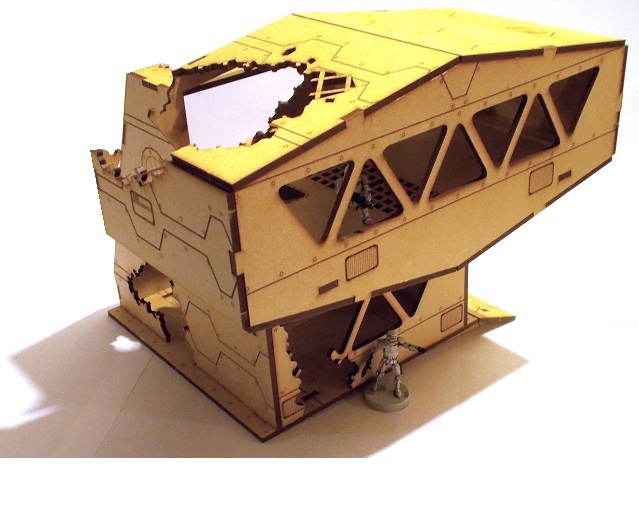 A section of crashed star ship containing two openings that would have houses evacuation pods. 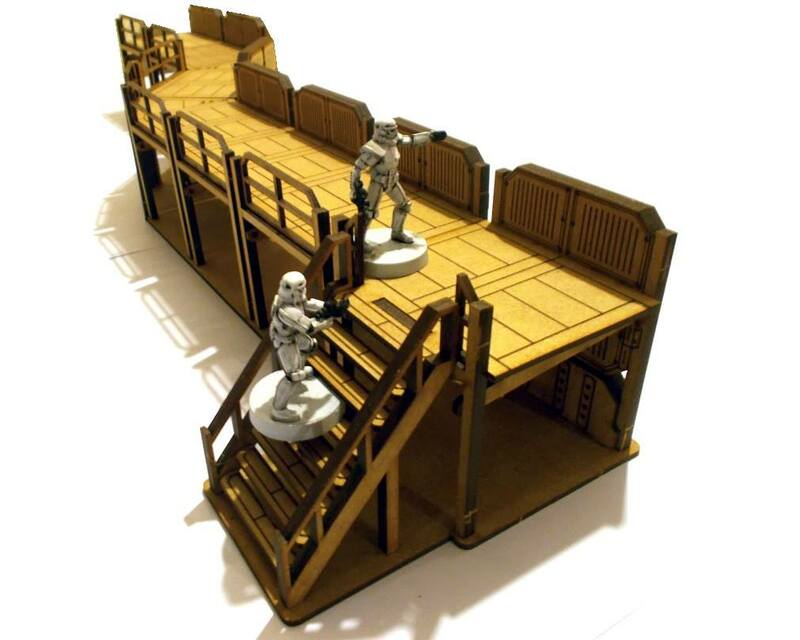 Suitable for games with either 28mm or 35mm scale figures such as 40K, Infinity, Star Wars legion , etc. 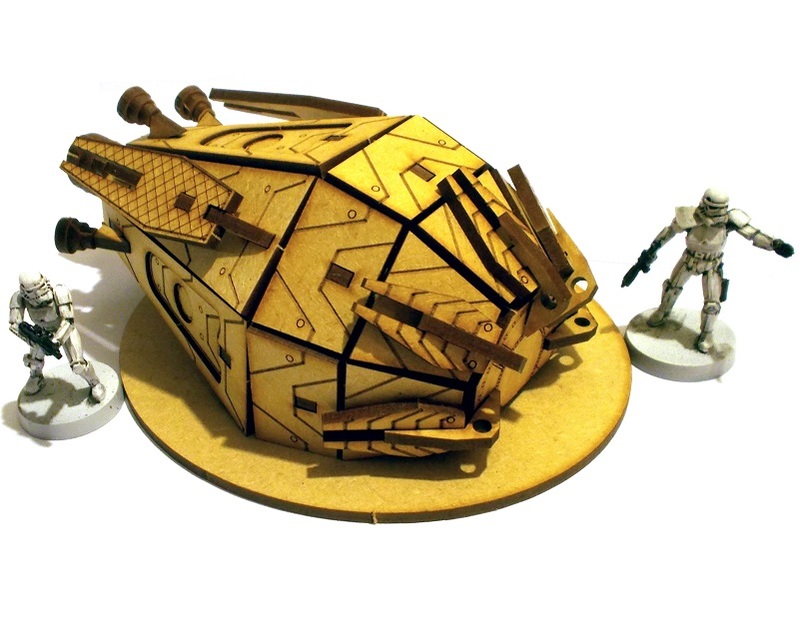 A crashed escape pod from a star ship – suitable for games with either 28mm or 35mm scale figures such as 40K, Infinity, Star Wars legion , etc. 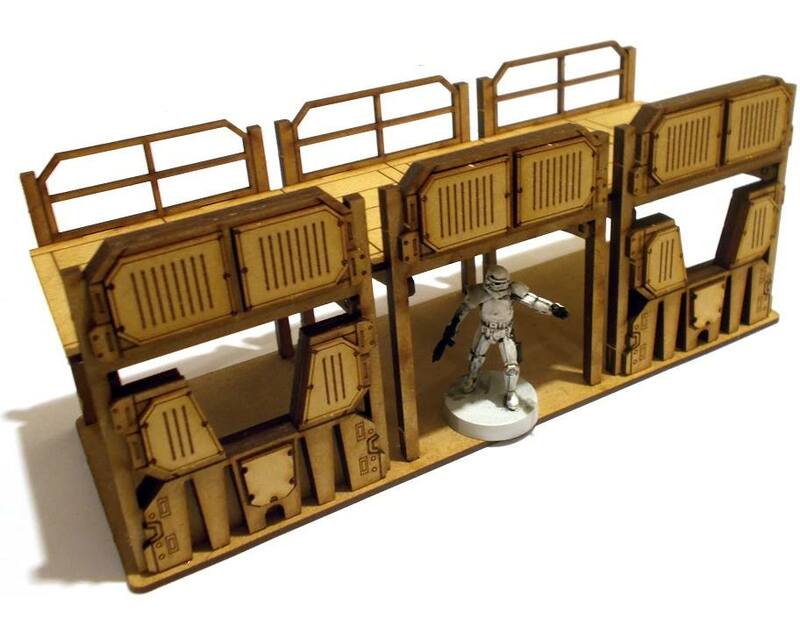 More 28mm goodies today with an armoured walkway / defensive wall. 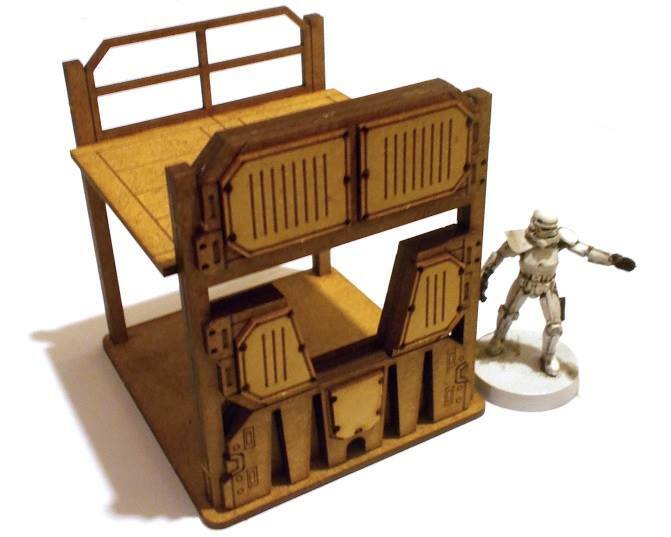 Perfect for Star Wars, 40K, Kill Team, Fallout, Necromunda, etc all the pieces can be combined to make a variety of defensive positions. 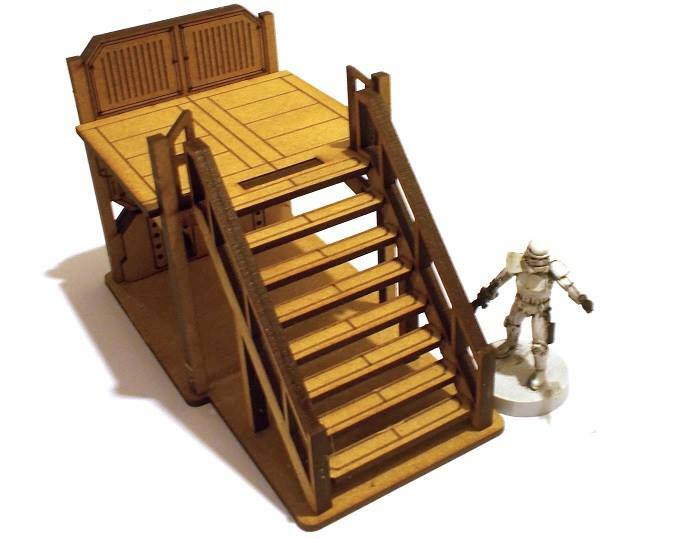 Prices are £3 for a wedge section, £5 for a single section, £10 for a triple section and £7.50 for the stairs. 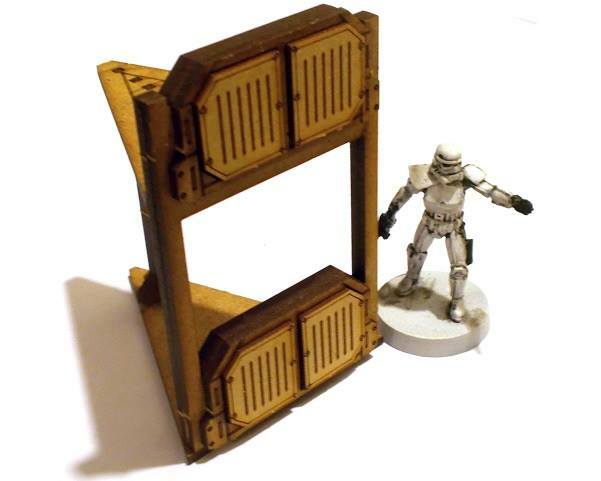 The stand-alone barricades are £3 for a pair. 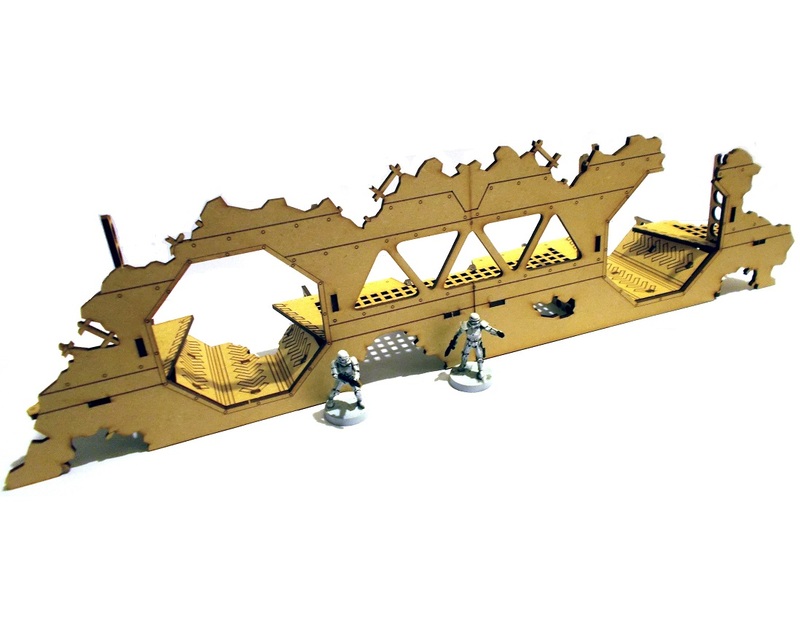 All are available on the Blotz website now. 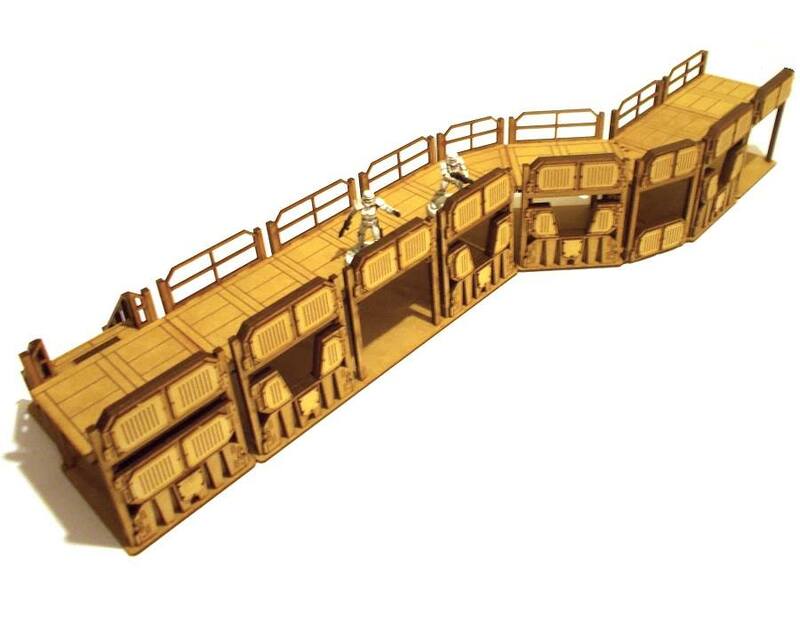 Der Rest ist auch ganz gut – eben was vor allem für SW Legion, aber nicht nur.